After using “tower” (or “desktop”) computers for my main workstation for over 20 years (since the Mac IIci! ), I made the switch a couple of years ago to using a 17″ MacBook Pro for my main editing + everything else machine. It’s great to have the portability, and though it was slower than my Mac Pro, it’s been a great workstation. At my office it drives a 30″ Cinema Display, but by itself it’s quite usable with its 1920×1200 17″ screen. But, because Apple beams secret slowdown messages from the Cupertino Mothership to their computers so they run slower and slower in advance of a new product announcement (okay, maybe that’s just a paranoid conspiracy theory) my 2011 MacBook Pro has been seeming more and more sluggish in the last few months. Anyway, along with many of you, I eagerly awaited news of amazing, new, speedy 17″ MacBook Pros from WWDC. But alas, the 17″ was discontinued! And, many of the speed gains of the Retina Display MBPs seem to be due to the superfast SSD drives, and not the processors, which aren’t that much faster than my 2011 MBP. SSDs (Solid State Drives) are awesome! 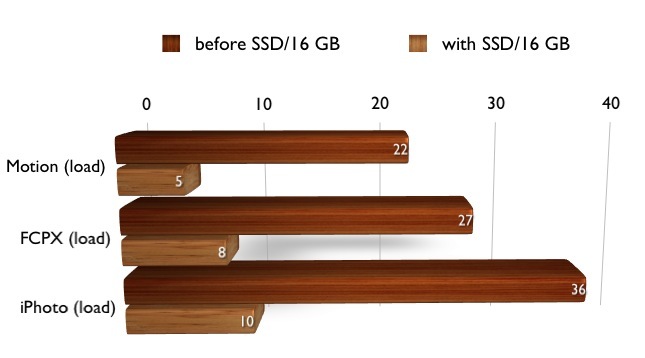 SSDs are way faster than platter-based magnetic HHDs. For one thing, hard drives often “go to sleep” to save power and to reduce wear and tear. When you need data from them, they need to spin up to speed, and this is time you spend waiting instead of working. But even when a hard drive is spinning at 7200 RPM, an SSD drive will be many times faster, not just much faster access times to small pieces of data, but much greater throughput (meaning more and better streams of video, for example) and way faster loading times. The SSD drive I settled on was the Crucial 512 GB m4 6 Gb/s drive. Great reviews, fastest overall in speed tests, good reputation. For the secondary (“media”) drive, I bought a Seagate Momentus XT 750 GB 7200RPM SATA 6Gb/s 32 MB Cache 2.5 Inch Solid State Hybrid Drive. If you are not familiar with these “hybrid” drives (I wasn’t, before some research), Seagate invented something they call “FAST” (flash-assisted storage technology). (Am I a sucker for clever acronyms!) At any rate, they say “Momentus XT drives boot and perform like an SSD, up to 3x faster than a traditional HDD”. In order to mount the secondary drive where your optical drive was, you will need a drive “caddy”. Although Apple lists the specs on my MBP (Early 2011 model) as handling a maximum of 8 GB RAM, some crafty geeks found it could indeed address 16 GB, the first MBP to be able to do so, luckily. If your MacBook Pro was made in 2011 or later, you can upgrade to 16 GB. If you’re not sure, check your model identifier, which is in the format “MacBookProX,X. The first number must be an “8” or “9”. At that time, just over a year ago, the cost of two 8 GB chips was about $1599! Thankfully, the price of this RAM upgrade has dropped 90%! I got a matched kit of two 8 GB RAM chips to replace my two 4 GB chips. They weren’t the cheapest, but seemed to be the best rating/reputation for the money. Most of the time, we buy our RAM at Crucial. Click their logo to go to their site. Even though there are plenty of movies on YouTube showing how to replace drives in MacBooks, after getting the parts I decided to take it to Andy at New World Mac and he did a great job at installation, and even insisted on sticking to the original quote even though we added a few tasks to the job along the way. Plus, Andy has an amazing collection of Macs through the years! One minor issue with SSDs is that computers are used to dealing with HDDs, so the way they do certain things will eventually end up with SSDs losing some of their zip. The solution is something called “TRIM”, which is possible in Lion, but Apple restricted TRIM support only to Apple drives (gosh, they’ve never done anything else like that, ever, have they?). Learn more about TRIM if you want here. Luckily, some supersmart nerds have figured out how to erase Lion’s Apple drive TRIM restriction so that you can enable TRIM with some SSD drives (this worked fine for me with the Crucial SSD I got). To enable TRIM requires entering some commands in Terminal, so it’s a geek thing! Remember that if you type the wrong thing in Terminal, you could blow up your computer and destroy the fabric of the space-time continuum, ending the existence of the universe, so read the article carefully before trying this and proceed at your own risk! For the steps, see this article. Yay! My SSD will stay zippy and last longer! So I turned my MBP on for the first time, and bingo! Within about 10 seconds, it was on and fully booted up! This used to take well over a minute. UN BE FREAKIN’ LIEVE A BLE!!! It’s like going from a Geo rental car to a Lamborghini! Premiere, Motion and Final Cut Pro X all boot in under 8 seconds. iPhoto, with 5,261 photos, launches in 10 seconds and scrolling through pictures seems instant. Things like showing a folder of video clips in the Finder in icon mode seems instant, proxy images generate within a second or two. I’ve upgraded my main computer dozens of times over the years, and each one has felt zippier and faster, but I don’t ever remember such a drastic difference. And, in the past, it seemed like I got used to the zippiness in the first few days, and then it just seems normal. But it’s been a week since my SSD/16 GB RAM upgrade and my laptop still feels like its warp drive is engaged. I can’t wait to get to work every morning! Everything I do seems more fun, and I’m inspired to tackle some projects I’ve been putting off just because I feel like I can attack them with the power of super speed. Holy crap! 510 MB/sec reads! That’s blazing!! I can’t say for sure exactly what aspects of the speed boost are due to the SSD and which the extra RAM. But with the RAM under $150 (at the time of this writing) it seems like if you have a model that can accomodate 16 GB, it’s a no-brainer. If you don’t, the SSD drive alone will make a big difference. So, I must say, if you want to give your laptop a warp speed upgrade, I highly recommend this selection of items. If you have any questions or want me to do any tests, post them in the comments! Get free tips and tricks direct to your inbox! Looks like a great idea, Josh – unfortunately my MBP is mid-2010 so I’m already maxed out at 8GB of RAM (I’m also on my third hard drive as I keep maxing them out) – but this still looks like a lot better deal than going for the Retina MBP just to get the speed increases. Thanks. Great article! 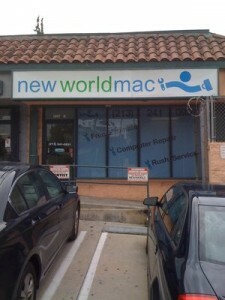 Could you give us an estimate as to approximately how much we could expect a shop like “New World Mac” would charge to perform the upgrades? I have that same machine Josh. But I ordered mine with an SSD. Replacing the optical drive with another SSD is gonna happen for me. for sure. But that SSD made ALL the difference. The RAM sounds good too. Glad you got that SSD installed! The difference is remarkable right? Great info, Josh! AS I have the same model MBP, I’ve been deciding whether or not to sell my 17″ for the new 15″ Retina MBP. My only real reason for holding back is not yet knowing the timeline for my Apps to go retina – and also wondering what type of eye strain going Retina right now would cause me – this is definitely a cheap and worthy upgrade to my 17″ MBP though. 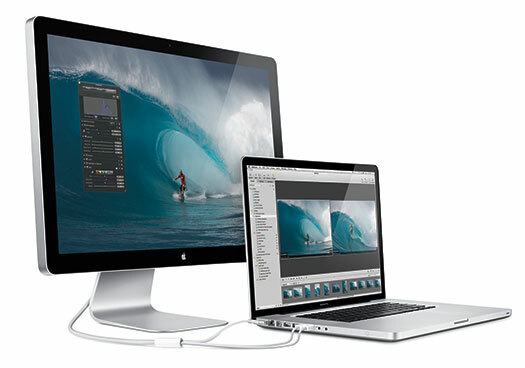 Having two Thunderbolt ports would be truly useful for my BOSCPUG events and for editing, too. Even though I would have had to go down to a 15″ screen I almost went for a new retina laptop, but then read reports of “burn-in” in the retina screens, and some other weird reports, and I’m very happy I went the way I did. Since the laptop is my main machine I need a big screen. If I want something super portable, that’s what the iPad is for, it has an HD camera and Avid Studio! I want to upgrade also. The problem is that Lion OS will not run Power PC app like Studio 2, CS 2 etc.. I plan on running Snow Leopard until…well probably a really long time. I want to buy a -refurbished 17″ and do to it what you have described, but run SL. Refurbished MacBook Pro 2.2GHz quad-core Intel i7 WIll this Machine do this? Or what is the fastest 17″ that I can configure the way you described and run SL? My current machine looks like a loser in a 4th of July Demolition Derby, although it is running fine for now. I’m not sure if you can sun SL on the latest MBPs… I upgraded to Lion, did a firmware update, decided to go back to SL, but couldn’t do it because of the firmware update! SL rocks though, Michelle just got a new HDD and installed SL. So, if that’s the OS you want to run you might look for a 2011 MBP on eBay? The “8” or “9” does this apply to i5 processors too? I have a 13″ 2011 MBP that I would like to do this whole treatment on. Yes, it includes 13″ & 15″. But the SSD is the real speed boost. MacBook Pros released in 2011, have been built with a higher RAM limit, so even though Apple only offers 8GB RAM and mentions this as the maximum amount of RAM the systems can hold, in reality they can recognize up to 16GB if you add it. If you have one of these systems, then you should be able to install up to 16GB of memory. Great article, I will probably do this if you can do one more bit of research. I do use my superdrive to burn camera archives of my DSLR footage as a secondary backup, so dispensing with the SD is not an option. Is there a way to take that drive and put it in some external housing and use it as a plug in drive? Perhaps via USB or FireWire? It seems a shame to throw out a perfectly good piece of equipment. There definitely are cases you can mount an optical drive in, however, I would recommend the must faster method of backing up to a 2TB USB drive, it will save you tons of time. I bought a late 2011 MBP this April figuring I would just use on set or while traveling and do the majority of work in the studio. Well I now can’t live without it, browsing the net on the couch or whatever, it’s much better than a iPad. This is a great article but I was also told the SSD’d could decrease render/encoding times exponentially. Is there any truth to the “exponential” part to that statement? Moreover, would the i/o bus speeds see any increase? Lastly, being a bit geeky and the fact you really can’t tinker with Mac’s, I’m looking forward to doing the mod. Thanks!!! Render and encoding times mainly depend on the CPU, but they also read and write from disk, so there would be some speed up there… and with an SSD drive, I/O speeds (more precisely, throughput) will increase greatly, so you could edit more streams of multicam, or use on set to record higher quality video. I have no interest at all in how fast my computer boots or a program loads but I do care about rendering time and color correction in video editing. What parts of this kind of upgrade would help in high intensity rendering situations like editing 3D or using a program like Resolve? Render time would be increased somewhat since it involves disk I/O. 3D work would be unaffected since it is CPU/GPU dependent. But even if all you do is 3D and color grading, plus email, web and the usual, you will be able to get more done in a day with an SSD drive! 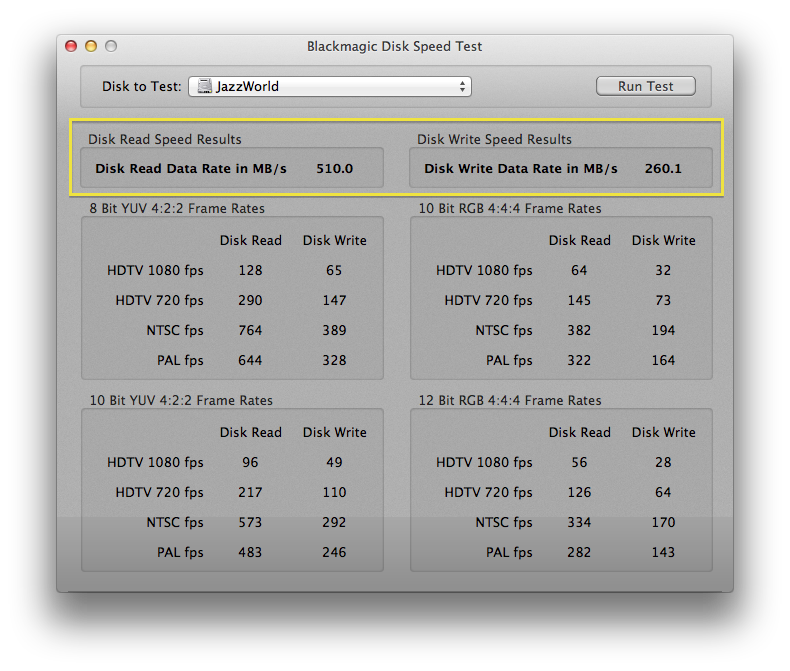 I have a MacPro with an OWC 6GB SSD. 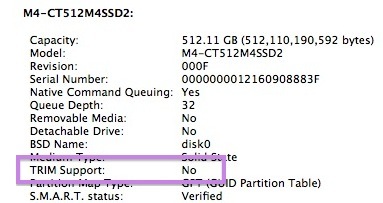 I took a look at the TRIM Support on my SSD drive and it is set to “No”. Will resetting the TRIM to “yes” via the links and instructions above give me more speed? Already the SSD is fast, but, of course, more is mo-betta. If you read the article I linked to and do a little googling you’ll get more details, but the bottom line is that TRIM gets more and more important over time. With TRIM enabled, your SSD drive will stay fast instead of slowing down over time, and last longer. What about adding two of the XT 750 drives instead? I’m all for ssd, but it’s certainly cheaper. I have the 17″ 2011 with 16GB ram. That would get you 250GB more space, and save about $250, so it’s a good idea, but you wouldn’t get the blazing speed increases you’ll see with an SSD. The 750 is fast, but I’m getting 100 MB/sec reads with the 750 vs. 500+ MB/sec reads on the SSD. Josh, thanks for the article. Just what I needed. I have a question for you. I am making the switch from a tower to a MBP. I don’t currently own something I would be upgrading. So if you were starting from scratch like me would you buy an older MBP and upgrade it or go for one of the new models? BTW, I am a professional photographer that also does a little video too. It depends on how important the 17″ screen is to you. I really like the 17″ (wish Apple made a 19″ laptop with, say, 2560×1600 resolution, I know Apple could pull that off while making it lightweight and portable!). Getting a 17″ from eBay and doing these mods is cheaper and faster than a new 15″. But it also depends on how feel about buying new vs. used, some people love that new computer smell! Josh, the upgrades you made result in the MacBook Pro that Apple should’ve brought to market. Somehow they thought we wanted a MacAir Pro. Slimmer is not always better. Having an SSD along with the hybrid is pure genius. For those thinking of going with a second SSD drive, I’d say “caution”. Even with TRIM enabled, there’s still a rewrite speed deficit associated with using an SSD drive for media. I could explain what that means, but to save bandwidth…..I’ll mention “Google”. Again, kudos for a great article…and finding a less expensive drive caddy than the one I’d been looking at. You know what I wish Apple made, would be a 19″ MacBook Pro with 2560×1920 res, two “first class” drive bays and a whopping graphics card. Sure, it wouldn’t be as portable as a 15″, but it would easily slip in a backpack, creative pros would buy them up and not much design work would be needed (it’s easier to fit components in a bigger case than a smaller one). Add a Thunderbolt array and there’s your edit bay to go. We can only dream. Perhaps I’ll sound like “Master of the Obvious”, but Apple’s sights are no longer on making powerful computers for professional artists. The writing was inked when Apple Computers, Inc. became Apple, Inc. They’re no longer a hi-tech computer company, now they’re the cool lifestyle company. It’s kind of like the cute girl that hung out with the geeks until she got her braces off. Guess what, Apple’s not going to the prom with us. Seriously, I think the core of Apple’s coolness has always been the creative professional. If they lose us, the “core” is gone, no more seeds = no more apples. Rad project & write up Josh – I’ve been render/start-up dreaming about just this kind of upgrade myself! Theoretically the battery should last longer since it’s not having to drive a motor, and although I have not done any scientific tests, it seems like it’s lasting longer. I know that’s a lame answer, I can do some tests with a co-worker who has the same model but with a HDD. One thing, unless I dropped something. How do yo split files and programs? Do you install all aps on your sad and files on the momentus? Yes, I installed Lion and all apps on the SSD, and my current project video files as well… because they fit! But if they didn’t, you could move them to the 750, or split them up between the drives. What about this kind of issue with SSDs? “I’m not sure why it happens but SSD drives are kind of like ram. It can be cleared. When I shut my lid and opened it again it basically cleared all the memory on my hard drive. “I was unable to recover any data on the drive and I had to send it back to the mfg for a replacement. They ended up just using two hybrids…. Wow! That’s weird. 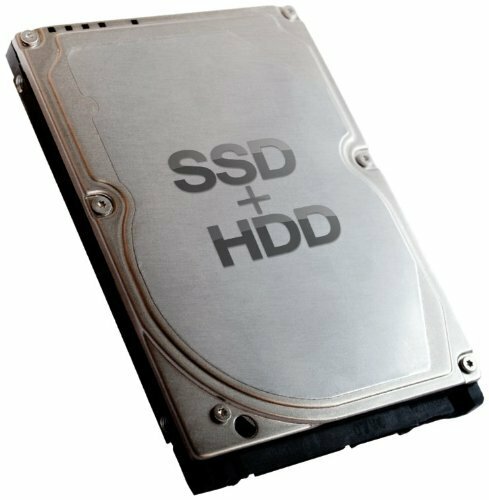 I don’t know if that could be duplicated, SSD drives are not like RAM, they’re more like a USB flash drive or a card that goes in your digital camera or HDSLR. Of course things can be erased on those, but you have to throw them in the trash! I have a cheapo 2 TB USB drive and Time Machine, and I also keep my project files in my dropbox folder so they are always backed up, but my guess is this sounds like this is a system problem beyond the SSD to me. Well, I’m going to Semi-warp speed my mac, as my friend did and with the memory you list. I tried to click on all the links I could, hope you at least get a semi-Subway run out of it! Thanks Eric! I will owe you a meatball 12″! I think you will be very happy! Very good article, my macbook pro 17 is 2010, installed SSD 3Gb/s, buy it at a good price promotion $ 279 USD Toshiba 512GB OWC. I get 190 MB / read and 210 MB / write support for FCPX and Motion lot. Very good tip TRIM Enabler I did and it works perfect, thank you very much for sharing the information. Wow, that’s a great deal. I notice SSD prices are dropping daily. Thanks a heap for this awesome article! Helped me in my search for speed with FCPX! For anyone thinking about following this article, I just did. Replaced everything exactly as Josh did. Wow, the speed difference is out of this world! This is the video I followed to replace the optical drive: http://www.youtube.com/watch?v=ds_6IET3siE&feature=plcp Make sure you go buy a Torx screwdriver set first! I stripped one of the screws trying to get it out with normal screwdrivers. $8 later, luckily the Torx screwdriver still got it out! Another tip. If you plan on putting your optical drive into an external case you may get an error in Lion and M-Lion when using the apple DVD Player. You need to change some settings from internal to external. This is how to do it. Very quick and worked like a charm! Performance after: slightly less laughable. CPU scaling for macs is guaranteed to be off to begin with (it’s a function of (CPU l1/l2/l3) cache rate over ram timing vs general latency). 1866mhz ram is ideal for 1st and 2nd gen i7 cpus. 2166mhz for 3rd gen. Unfortunately you can’t have that because you’re running low power sodimms with fixed timings. 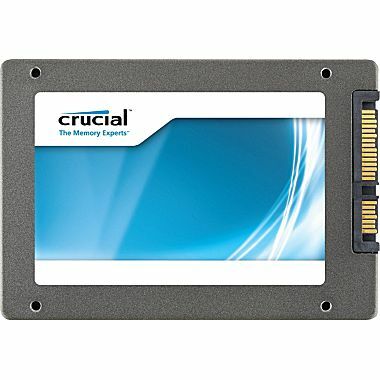 Crucial SSD is bottom of the barrel in terms of performance and works best under large continuous file reads and writes, you really want a vertex 4 (NOT 3) or a Samsung 830/40 pro for the applications you’re talking about. The key for your work is as close as 1:1 disk reads and writes as possible and those two fit the bill on sata III. I love Seagate drives, but the model you purchased is a consumer model that degrades over time terms of its SSD frontloading, and it doesn’t work well under HFS+. Also has massive platters, so it’s on par speed wise with many 5400 rpm 500gb drives. There’s a point where professionalism states you should start understanding the tools you’re working with. That starts at the hardware. It only seems fast because you’ve never seen fast. There’s no magic to any of this, it’s all very hard quantifiable math. You wouldn’t stick a 4-speed automatic transmission on a high output engine, don’t do it to your computer. At the moment, you’re charging clients for time your computer is wasting. another Josh here — I verrrrry much appreciate what you’ve shared here and want to hook you n yours up with sandwich money by using your link… alas being in Canuckada I would order thru amazon.ca instead of .com. Is there any way I can link thru your site to benefit you before I go ahead and place an order? Also, I may cheap out and get the 256GB boot drive — do you have any insight about this being a bad move for some unforeseen reason? Great article, Josh. Methinks you’ve specified the ideal configuration for Autodesk Smoke for Mac 2013!!! Great write up!!! You rock amigo. 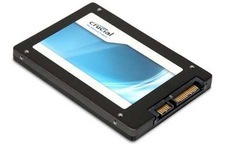 Since someone mentioned the Samsung 840, I’m letting e’eryone know that it’s on sale until Mar 2, 2013 at B&H Photo-Video: The Samsung 500GB 840 Series Serial ATA 6Gb/s 2.5″ Internal SSD, model no. MZ-7TD500BW, for $279.49 with free shipping. Just figured anyone else lucky enough to be reading your fan tass tick post might want to know. Any way you can get linked to that to help add to your munchie fund?? Hi Kev, interesting, that drive is discontinued, there’s a newer model, but that does look like a screamin’ deal though! I might pick one up for a computer here at the office and try it out, thanks for the heads up! I see you’re using a 6gb/s SATA-III drive in your optical drive slot. Have you had any issues? And does your system info show the Macbook negotiating 6GB/s on that optical port? It’s just that there are reports of LOTS of problems running true 6GB/s drives on the optical port, and it’s generally recommended to run a SATA-II device instead on that port. 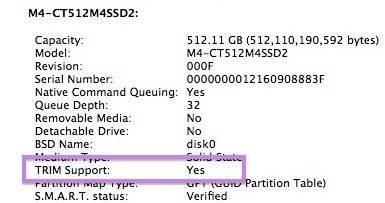 Even if your Macbook is on of the ones that reports the port as being 6GB/s compatible. I’m currently running a full 6GB/s SSD in my HD bay, and a 500gb HDD in the optical for the moment, though i’m wanting to upgrade the HDD to an SSD. Any thoughts from yourself or others here? The secondary drive was pretty cheap, even though it seems to be performing well, I may swap it out. Yeah, I haven’t gone there yet! Thanks for letting us know! I just updated the links. This laptop is our primary editing workhorse, so we absolutely still recommend this setup.